While the growth of digital health data has been undeniable, it has resulted in silos that reduce the impact digital technology has on health outcomes. To help, we need platforms to support the secure exchange of data between patients and clinicians. In the first of our series of digital healthcare blog posts, we explain how the growth of digital health data has resulted in the creation of data silos that has, so far, limited the effectiveness of digital technology in improving health outcomes. We highlight the need for platform technologies to support consent driven exchange of data between patients and health professionals within well designed service models. 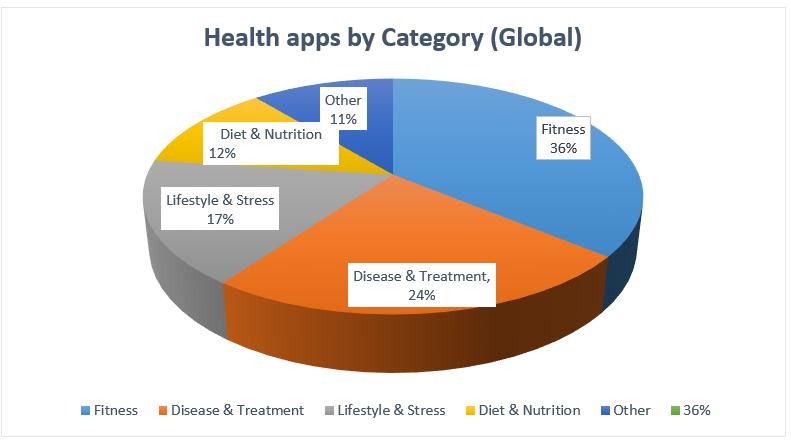 In the consumer health space there are now thousands of apps available covering a range of topics from fitness, lifestyle & stress, diet and nutrition and, increasingly diseases and treatment apps for long term conditions. Our recent study of digital health adoption in Scotland found that adoption of health apps and hardware to track different health metrics correlates with health concerns of different age groups. For example, our survey found that 11% of 55-64 year olds were interested in heart rate monitoring in comparison to 7% of 25-34 year olds. Download our 2017 Digital Health survey for more insights on citizen adoption of digital health in Scotland. 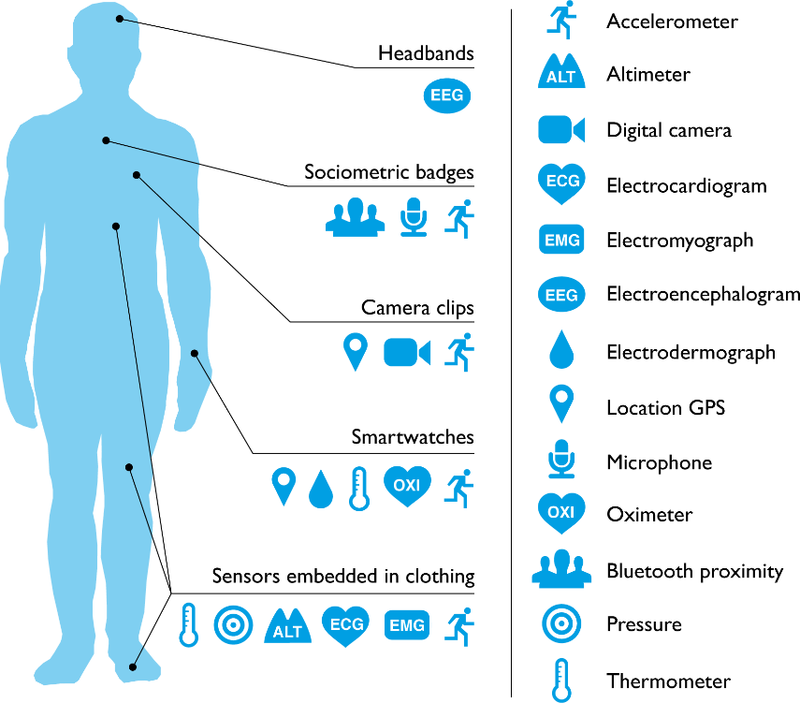 The growth of wearables from sensors and connected hardware is such that it is now possible to measure almost every part of human physiology. Wearables are also becoming more sophisticated. Consider Cyrcadia’s iTBra, a wearable vest used to screen for the detection of breast cancer at earlier stages or Apple’s Watch that can detect an abnormal heart rhythm with 97% accuracy. According to our own survey, 17% of 18-24 year olds currently or plan to own a wearable in the next 12 months. Similarly, 15% of adults over 65 are expected to own a wearable within the next year. The digital exhaust of the healthcare service is also increasing exponentially with new digital health data created each day from scanned images, clinical test results, electronic letters and data from diagnostic equipment that has upgraded from analogue to digital. A recent report by PWC forecasted that that the volume of health-related data had reached over four zettabytes – that’s four trillion gigabytes (1021). The adoption of wearables and health apps demonstrates the willingness of the public to be more active participants in their own health and wellbeing. However, many health professionals have rightly highlighted the limited impact so far of wearables and health apps on improving health outcomes. Much of the health data from these apps is held in closed, application-specific data silos and is rarely used by health professionals as part of care delivery. The capacity to securely capture, store, interpret and act upon this type of patient-generated data is non-existent within the existing care set up in the UK. On top of this, patient-generated health data is often not trusted by healthcare professionals. Moreover, data silos prevent aggregation of data from different sources where correlations between different data sets can deliver new insight. They also limit the utility of artificial intelligence to interpret the data to support clinical decision making by healthcare professionals. 42% of participants of our survey agreed that they would share their health data with a healthcare professional to receive better care and 64% of participants believe that they should be in control of who has access to their health data. The first step to realising the benefits of consumer adoption of wearables and health apps is the need to support the secure exchange of health data between patients and nominated healthcare professionals. Developers of existing and new services a set of standards to help them operationalise and scale their service. Healthcare providers with the opportunity to harness the rapid innovation within the digital health space. Nevertheless, the value from data exchange layers comes from the services that can be developed on top of them using APIs. In the US new types of service models that combine remote monitoring, gamification to support behaviour change and personalised interventions by healthcare professionals has helped improve outcomes in some of the most chronic conditions such as COPD, diabetes and heart disease. Services aimed at improving wellbeing, preventing disease and medication adherence are also beginning to demonstrate positive health outcomes and operational efficiencies. Many healthcare providers are therefore beginning to explore how they might adopt digital programmes that can be delivered at scale and at a reduced cost in comparison to existing healthcare delivery models by using apps, wireless devices and sensors. No clinician is willing to monitor or be liable for the health data firehose of a patient 24/7. As with digital transformation across other sectors, digital technology can only be effective in the context of well-designed services that meet the needs of patients and fit with the workflow of healthcare professionals. This requires skilled, multi-disciplinary digital teams working with domain experts to design, prototype and test new service models using well-established service design standards. It will take some time before digitally-enabled healthcare services offer a safe and viable route to help address some of this increasing demand. This will be made possible by reducing face to face interactions in favour of remote monitoring and personalised intervention by less experienced healthcare professionals supported by machine learning-driven, clinical decision support systems. Technology alone is not the answer. In our next post, we explore the need for healthcare providers to adopt new target operating models to deliver and manage these new digitally-enabled services. The World Bank “Global Health Workforce Labour Market Projections” Report predicts that by 2030, demand for healthcare workers worldwide will double and countries such as the UK will face workforce shortages because their demand will exceed supply. It is clear that if healthcare is to benefit from digital disruption, then, like many other industry sectors, transformation of current processes alongside a significant upfront investment in staff and skills is required to facilitate change. The Lenus Health platform was created by Storm ID to solve the problem of the data silos. The main purpose of Lenus Health is to provide patients with the ability to share health data from apps, wearables and sensors with health professionals. The platform’s identity and consent management components allow an individual’s health data to be shared in a secure manner with trusted healthcare professionals. In creating Lenus Health, Storm hope to provide a long-lasting, digital solution to improve personalised healthcare. Digital healthcare and the facilitation of such a digital transformation within health services is a vital step that must be taken in the near future. People are already adopting digital means of tracking their health. You can learn more about people’s opinions of digital health data ownership and the health issues most important to the Scottish public by downloading our 2017 Digital Health survey.